Scientists at UC Santa Cruz and Lawrence Livermore National Laboratory (LLNL) have reported unprecedented performance results for a supercapacitor electrode. The researchers fabricated electrodes using a printable graphene aerogel to build a porous three-dimensional scaffold loaded with pseudocapacitive material. 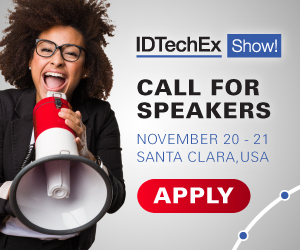 For more information see the IDTechEx reports on 3D Printing 2018-2028 and Flexible, Printed and Thin Film Batteries 2019-2029. As energy storage devices, supercapacitors have the advantages of charging very rapidly (in seconds to minutes) and retaining their storage capacity through tens of thousands of charge cycles. They are used for regenerative braking systems in electric vehicles and other applications. Compared to batteries, they hold less energy in the same amount of space, and they don't hold a charge for as long. But advances in supercapacitor technology could make them competitive with batteries in a much wider range of applications. "The problem for pseudocapacitors is that when you increase the thickness of the electrode, the capacitance decreases rapidly because of sluggish ion diffusion in bulk structure. So the challenge is to increase the mass loading of pseudocapacitor material without sacrificing its energy storage capacity per unit mass or volume," Li explained. Most importantly, the areal capacitance increased linearly with mass loading of manganese oxide and electrode thickness, while the capacitance per gram (gravimetric capacitance) remained almost unchanged. This indicates that the electrode's performance is not limited by ion diffusion even at such a high mass loading. First author Bin Yao, a graduate student in Li's lab at UC Santa Cruz, explained that in traditional commercial fabrication of supercapacitors, a thin coating of electrode material is applied to a thin metal sheet that serves as a current collector. Because increasing the thickness of the coating causes performance to decline, multiple sheets are stacked to build capacitance, adding weight and material cost because of the metallic current collector in each layer. "With our approach, we don't need stacking because we can increase capacitance by making the electrode thicker without sacrificing performance," Yao said. "The key innovation in this study is the use of 3D printing to fabricate a rationally designed structure providing a carbon scaffold to support the pseudocapacitive material," Li said. "These findings validate a new approach to fabricating energy storage devices using 3D printing."